Capital Metro has announced the exact date it plans to launch its new express bus service. 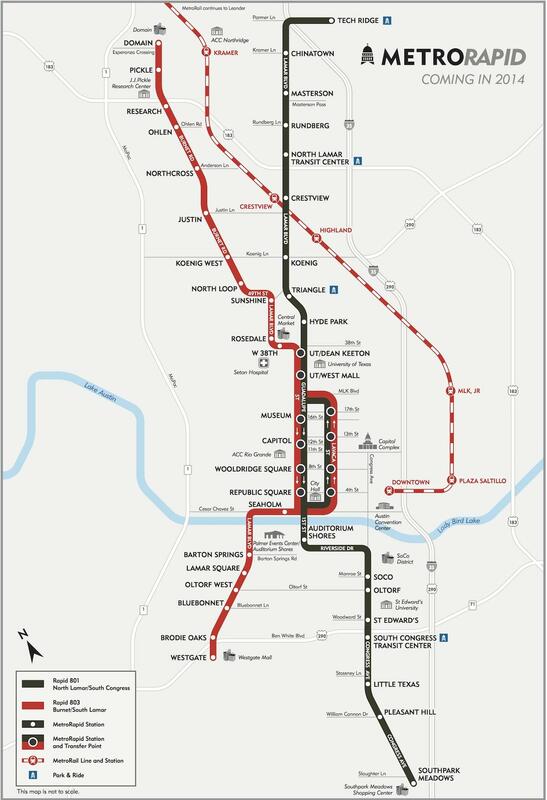 MetroRapid inital service will start on a line that runs from North Lamar down Guadalupe and on to South Congress. A second MetroRapid route down Burnet Road to Guadalupe and on to South Lamar won’t launch until later in 2014. There's 77 stops along the two MetroRapid routes, each spaced close to a mile apart. The service will run until 1 a.m. on weekdays, midnight on Saturdays and 11 p.m. on Sundays. As KUT previously reported, the busses are equipped with sensors that can hold green lights for up to seven seconds. Portions of MetroRapid’s downtown route will also operate in “bus-only” traffic lanes. You might see the 60-foot, accordion style buses on the roads next month, when Cap Metro begins testing the new vehicles and training drivers – but you won’t be able to board one until nearly the end of January. Road construction that will result in bus-only lanes on Guadalupe and Lavaca streets could begin as soon as next week. 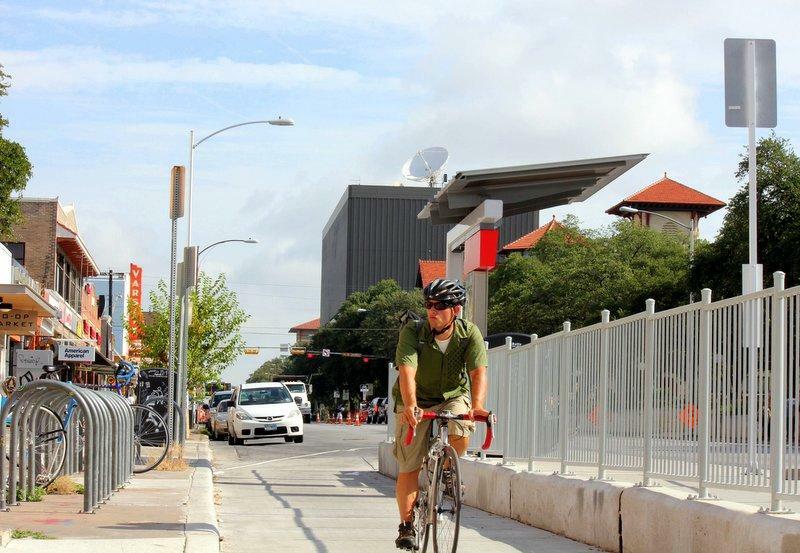 The “transit priority lanes” are part of the MetroRapid project by Capital Metro. Capital Metro will prohibit cars on the right-most lanes of Guadalupe and Lavaca Streets between Cesar Chavez Street and MLK Jr. Boulevard. Cars will be allowed to use the bus-only lanes to make right turns.